Study daily, 24 latest news headlines from The Hindu with The Tutors Academy. 1. Kumbh Mela – The mega event will be held between January 15 and March 4 next year, in Allahabad. 2. India’s financial assistance to SAARC neighbours declined considerably in the past five years. Going by government data, assistance fell from ?5,928.6 crore for 2013-14 to ?3,483.6 crore for 2017-18; but Maldives has been an outlier, despite the dip in ties. India is still completing three main projects in Maldives: a police academy, a coastal radar project, and the refit of MNDF ship Huravee. An offer to build a new Defence Ministry building is pending, which explains why the Maldives alone is the outlier to an otherwise declining trend in neighbourhood aid. Get 24 latest news headlines & current affairs in English with The Tutors Academy. 3. 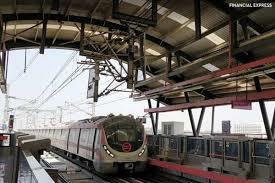 A disagreement between the Transport Department officials and the Minister over the name and design of the common mobility card, intended to provide seamless connectivity between public buses and Delhi Metro trains, has allegedly put the brakes on the roll out of the eight-year-old initiative. 4. A Delhi hospital has claimed to have overcome blood group mismatch (ABO incompatibility) and performed a successful liver transplant to save a patient suffering from cirrhosis. ABO incompatibility between a donor and a recipient is generally considered a barrier to kidney or liver transplant. In this case, the patient’s blood group was B, while the donor’s was A. The 40-year-old patient was brought to the hospital with complaint of chronic liver disease. 5. The All India Institute of Medical Sciences (AIIMS) has started a wellness clinic for its medical students and doctors. The clinic which will be operational for 12 hours a day from (8 a.m. to 8 p.m.) has two dedicated phone numbers which have been pressed in for service. 6. Bedaquiline, a drug that can significantly reduce the treatment time of multi-drug-resistant tuberculosis, was rolled out in Telangana on Saturday. It is not available for private purchase as its use requires close monitoring and also because of concerns of drug-resistance by Mycobacterium tuberculosis, the bacterium that causes the disease. Study daily and educate yourself. Get the best 24 latest news headlines from The Hindu, to crack all competitive exams easily. 7. With the presence of a sizeable population travelling to various countries in the West Asia, the airport authorities are planning to kick-start their international operations by attracting low-cost airlines from the Tirupati International Airport to the West Asia by January 2019. 8. Tobacco farmers have urged the Centre to include their representatives in the delegation attending the Framework Convention on Tobacco Control Conference of Parties, organised by the World Health Organisation at Geneva in October. 9. To boost connectivity in the northeastern States of the country, the Union government on Saturday announced investments worth nearly ?10,000 crore in the region over the next four years to implement more than 400 projects. The Digital North East Vision 2022, which has been announced just a year ahead of 2019 general elections, has identified a total of eight thrust areas to enhance connectivity, including telecom infrastructure, electronics manufacturing units, BPOs and cyber security, besides promotion of digital innovations. (24 latest news headlines and current affairs in English). 10. The Home Ministry has moved the Union Cabinet to increase the number of seats in the Sikkim Assembly from 32 to 40. The State goes to the polls in 2019. If approved, it will be the first expansion of the Assembly since Sikkim merged with India in 1975. 11. The Asian Games 2018 will also see North and South Korea fielding joint teams across three sports and six events and being represented under a unified flag. 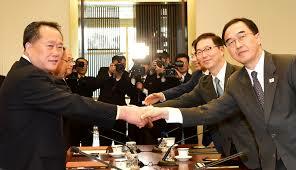 The move comes amid warming ties between the two Koreas as relations between Pyongyang and Washington have also improved after tension last year over the North’s nuclear and missile programmes. 12. Using zebrafish, researchers at the Institute of Genomics and Integrative Biology (CSIR-IGIB) have successfully discovered a pathway that regulates hepcidin hormone production. The hepcidin hormone, released by the liver, is a central regulator of iron in the body. Dysregulation of the hormone leads to anaemia on one hand and excess iron accumulation in organs such as liver and heart leading to multi-organ failure. Hemochromatosis is a rare hereditary disease that is characterised by iron accumulation or overload in various tissues. The symptoms are non-specific and hence difficult to diagnose. Current options only manage the disease by removing excess iron. “One method is to bleed the patients and the other is to absorb iron using iron chelation, which is toxic to liver and kidney and may also cause hearing problems. There is no therapy currently available,” says Sandeep Basu from CSIR-IGIB and first author of a paper published in ACS Chemical Biology. (24 Latest news headlines & current affairs). 13. A recent study on direct dating of sediments extracted from paleochannels close to Harappan sites in the region of Sutlej-Yamuna interfluve by a team of scientists from the Physical Research Laboratory, Ahmedabad (PRL) and CNRS, France, indicate that these rivers changed their course nearly 35,000 years before the Harappans came to settle there. Along with a 2017 paper in Nature Communications by A. Singh from IIT Kanpur and others, this study now provides scientific evidence that contradicts the suggestions on Harappans flourishing on the banks of the mythical Vedic rivers, Sarasvati and Drishadvati. These studies provide evidence that these rivers changed their course much before the time of Harappan settlements about 5,000 years ago. The study was published recently in Quaternary Geochronology. 14. Researchers have developed a new type of bed net with a specific combination of an insecticide and insect growth regulator that could prevent millions of cases of malaria. 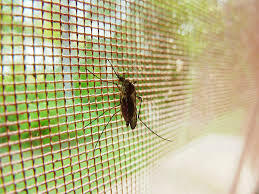 The novel net, detailed in the journal The Lancet, contains a pyrethroid insecticide, which repels and kills the mosquitoes, and an insect growth regulator, pyriproxyfen, which shortens the lives of mosquitoes and reduces their ability to reproduce. 15. The US Food and Drug Administration recently approved a gene-silencing treatment based on RNA interference. The technique can be used to silence specific genes linked to a disease. The drug, patisiran, targets a rare genetic disorder that can impair heart and nerve function, a Nature report said. 16. A genome analysis of several species of marine mammals showed multiple losses of the Paraoxanase 1 gene. This gene is the primary defence in mammals against organophosphorus toxicity. Its loss can render them susceptible to pesticides run off from the land. 17. A newly discovered biomarker in human urine may help clinicians predict the success of treatment for patients of Severe Alcoholic Hepatitis (SAH). This will help avert risks involved in giving the standard steroid treatment to patients who are not likely to benefit from it. 18. In the new study at the New Delhi-based Institute of Liver and Biliary Sciences (ILBS), scientists collected baseline data about urine metabolome (the range of the metabolic products) in 140 patients with SAH using ultra-high-performance liquid chromatography and high-resolution mass spectrometry. 19. A research group has found that altering levels of a protein disrupts the balance between formation of bone and fat tissue in animal models. The results show that the protein, named Thy-1, plays a critical role as both a promoter of bone formation and an inhibitor of fat formation, a discovery with implications for the study of obesity and bone disorders. Mesenchymal stem cells (MSCs) are a type of stem cell that can differentiate into various cell types such as bone and fat cells. The fate of MSCs is governed by a complex network of signalling pathways that maintains a balance between the formation of new bone tissue and fat stores. Sometimes this balance is disrupted. The scientists founds that MSCs deficient in Thy-1 were more likely to differentiate into fat cells instead of bone cells. Furthermore, mice deficient in Thy-1 displayed increased body weight and fat volumes, lower bone mass, and were more vulnerable to bone fractures when compared to control animals. The findings have been reported in Science Translational Medicine. 20. What is the Basel papyrus? Description – Culture, Language and Identity: English-Tamil in Colonial India 1750-1900 CE and Language, Culture and Power: English-Tamil in Modern India 1900 CE — Present Day, the two slim volumes under review is a marvellous attempt to tell the fascinating story of how, since the middle of the 18th century, “the Tamil language has grown in status, asserting its history and expanding its horizons,” and how “it has done this with the help of translations, both from and into that language. Description – In the 50 years of rule between them, M. Karunanidhi, MGR and J. Jayalalithaa transformed institutions and structures to deliver a welfare agenda in the State, writes a former bureaucrat who had served at the Centre and in Tamil Nadu. This is an intimate narrative on the Dravidian years when politicians and bureaucrats worked together to implement a social policy. Description – A writer travels through Pakistan-administered Kashmir to hear its people. She talks to women and children living near the Line of Control, bearing the brunt of ceasefire violations; political and military representatives championing the cause of Kashmir; former militants still committed to the cause; nationalists struggling for a united independent Kashmir; and refugees yearning to reunite with their families. Book Name – Is this ‘azaadi’? Description – A sociologist writes about living conditions of landless agricultural labourers in Muktidih, a village in southwest Bihar. Most of them are Dalits and find it difficult to access necessities like food, shelter, clothing and healthcare. He points out that their counterparts elsewhere in the State live in similar dismal conditions, calling attention to issues of caste, class and politics. Description – Backed by research and case studies, two scholars explore the evolution of the Rashtriya Swayamsevak Sangh (RSS) into its present form, its relationship with the ruling Bharatiya Janata Party (BJP), their overseas affiliates and so forth. Among the questions they seek to answer is how does its rapid growth impact the country’s politics and policy. Description – Combining biography and memoir, Ghosh writes of his father’s life as a journalist. As the longest-serving and the first Indian editor of Pioneer, S.N. Ghosh’s career matched steps with profound changes in our history. As a reporter, Ghosh senior saw the ‘whites only’ club of the British; on the eve of Independence, he wrote the editorial to mark the historic day. Study daily, 24 latest news headlines and current affairs with The Tutors Academy. 22. The Sports Ministry has cleared a 804-member Indian contingent, including 572 athletes, for the Asian Games but said it will bear the expense of 755 members with 49 out of 232 officials allowed at no cost to the government. The government will bear the cost of 572 athletes, 183 officials, 119 coaches and 21 doctors and physiotherapists and 43 other extra officials. Out of the 572 athletes cleared to take part in 36 disciplines, 312 are men. 23. Jakarta and Palembang in Sumatra are set to host about 11, 000 athletes and 5, 000 officials from 45 Asian countries for the August 18 to September 2 Games, the world’s biggest multi-sport event behind the Olympics. 24. Qualifier Niki Poonacha took a dream to its logical end as he beat Michael Look of Australia 6-3, 6-1 in the final of the $25,000 ITF men’s Futures tennis tournament. It was the maiden singles title for the 23-year-old, ranked a modest 1111, who has won three doubles titles including one with Davis Cupper Ramkumar Ramanathan. $25,000 ITF men, Jakarta: Final: Niki Poonacha bt Michael Look (Aus) 6-3, 6-1. Meaning 1 – A sign of what will happen in the future; an omen. Meaning 1.1 – The interpretation of omens. Get daily 24 latest news headlines & current affairs, to crack all competitive exams easily with The Tutors Academy.